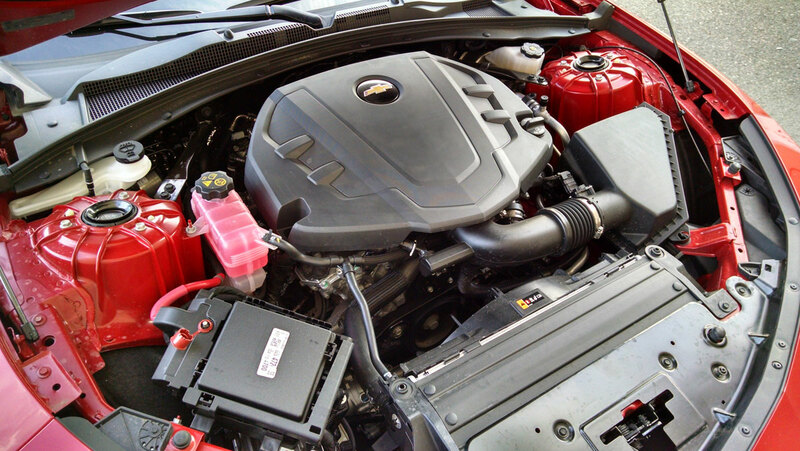 Sharing its Alpha Platform architecture with the current Cadillac ATS, the new Chevrolet Camaro engine bay has many similarities in structure and layout. There’s room for a big V8 of course, making it seem spacious with the 3.6 liter V6. 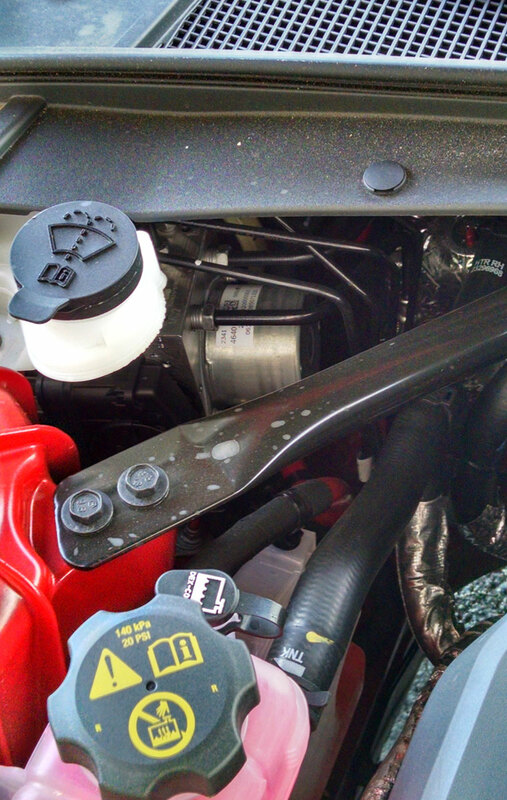 While there is extra space here, accessories like coolant and windshield washer fluid reservoirs are crammed in unique places. 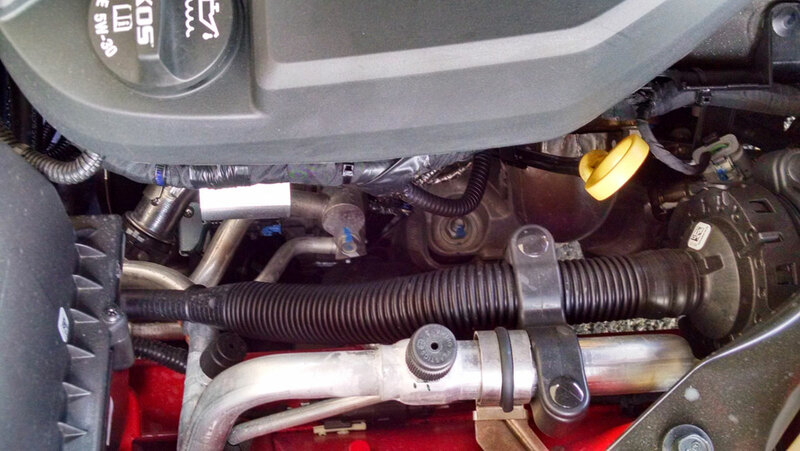 But up front you can see straight down to its electric variable assist power steering rack. 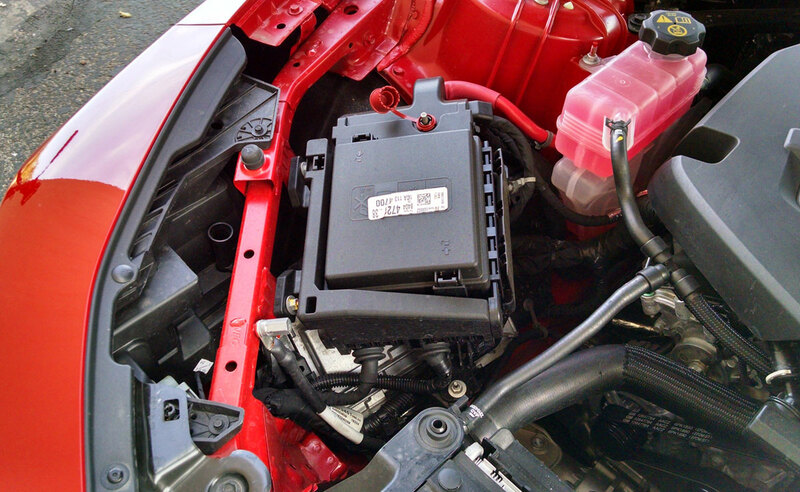 The battery is mounted behind an access panel at the passenger side of the trunk. Strut towers are made of cast aluminum to save weight, bonded and riveted to the steel structure – a construction that was first seen on high-end cars. They are braced on both sides by steel bars which tie them into the firewall to prevent flex and movement. While it’s the same size as last year’s 3.6 liter V6, this is an all-new fourth-generation engine that is shared with Cadillac as well as other GM models. 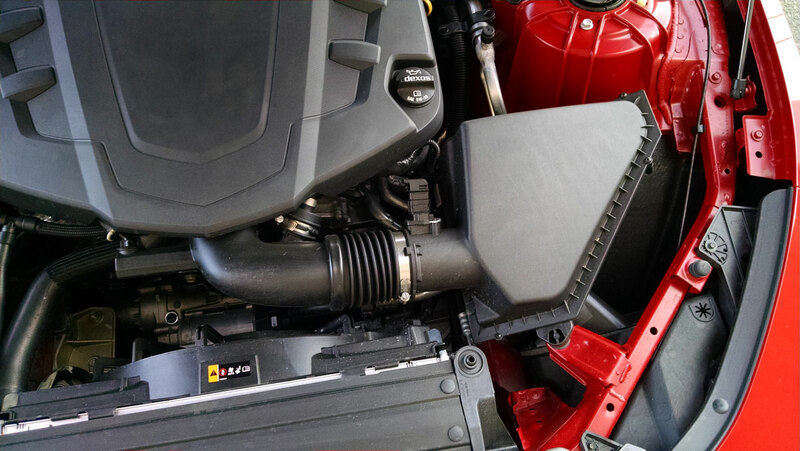 The all-aluminum engine has high feature content like direct fuel injection, four-cam variable valve valve timing and variable-displacement all of which give it 335 horsepower and 284 pound-feet of torque. The latter item, technically called Active Fuel Management, can turn off two of its cylinders to save fuel during light cruising and coasting. It works very well such that you really never know its happening. 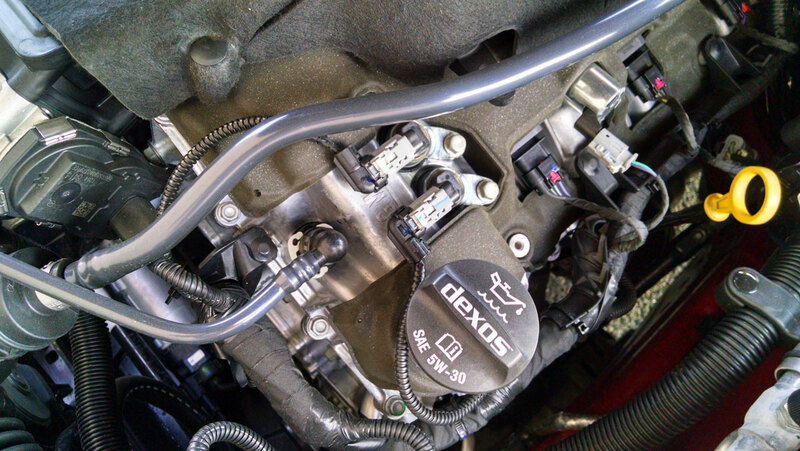 The air flow starts at the filter box and into the engine at a front mounted throttle body. 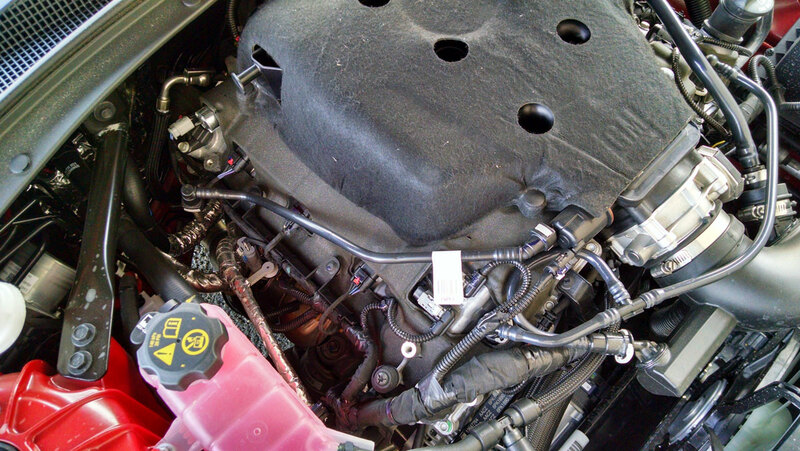 The intake manifold is plastic and covered with a healthy dose of sound deadening material as are the tops of the heads. 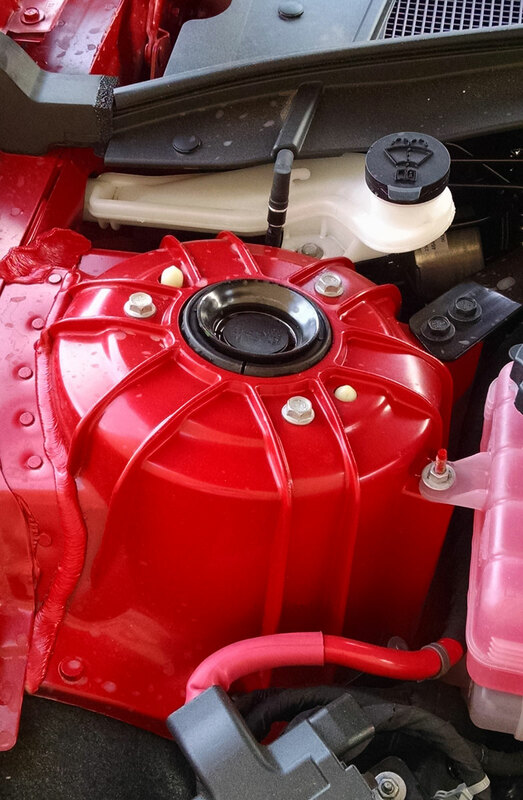 This is to reduce unwanted intake sound as well as noise from the direct-injection system and valvetrain. 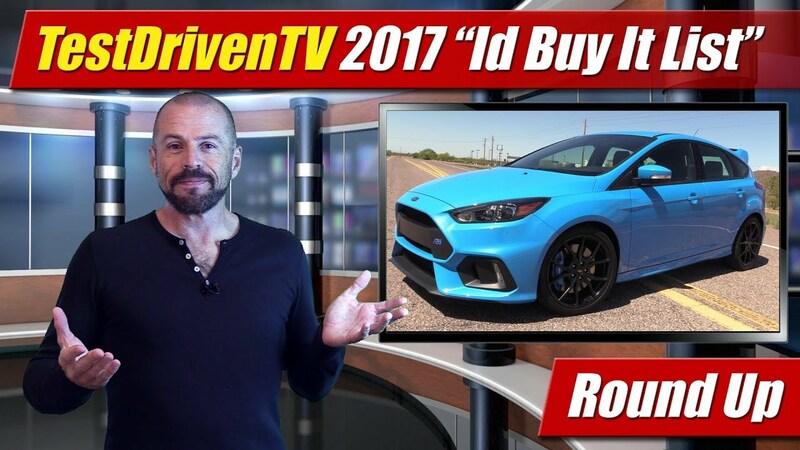 Good sounds are carefully managed into the passenger compartment with a sound tube to give you just whats musical – and I can tell you this is one of the better sounding V6 engines on the market. Up front the accessory drive is very simple, only driving the alternator and air-conditioning compressor along with the water pump. 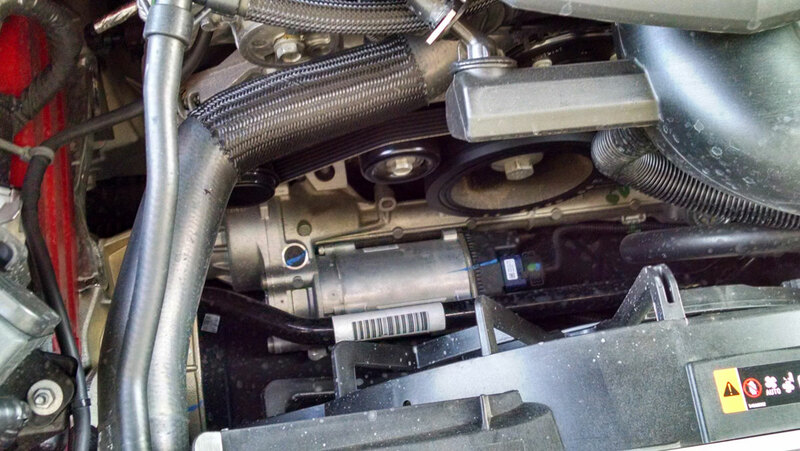 It’s cooling system has valves which allow the coolant to be selectively routed for quicker warm up at the heads and better cooling management all around. 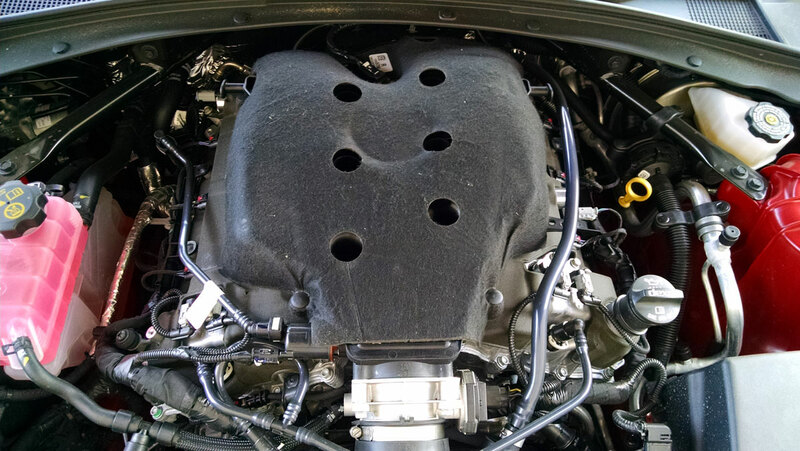 Notable close ups include the cylinder heads which have integrated exhaust manifolds. This means no option for tube headers if you’re a modder. But what it makes much easier, at least for GM is turbocharging. 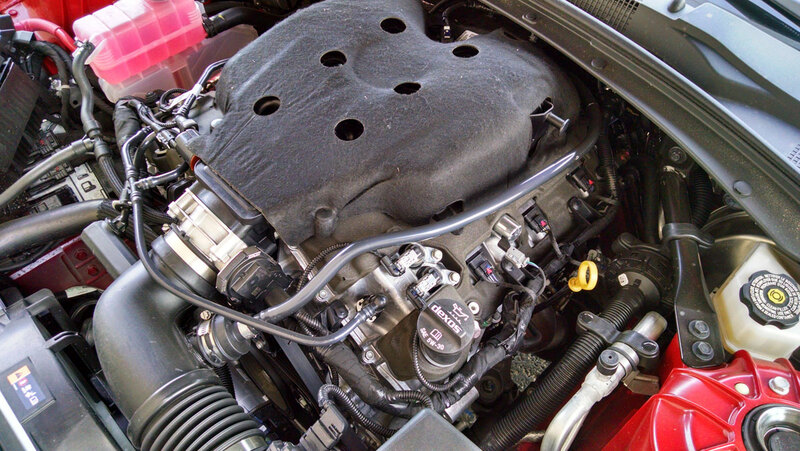 This engine also comes in a 3.0 liter version with two turbochargers in the Cadillacs good for 400 plus horsepower. 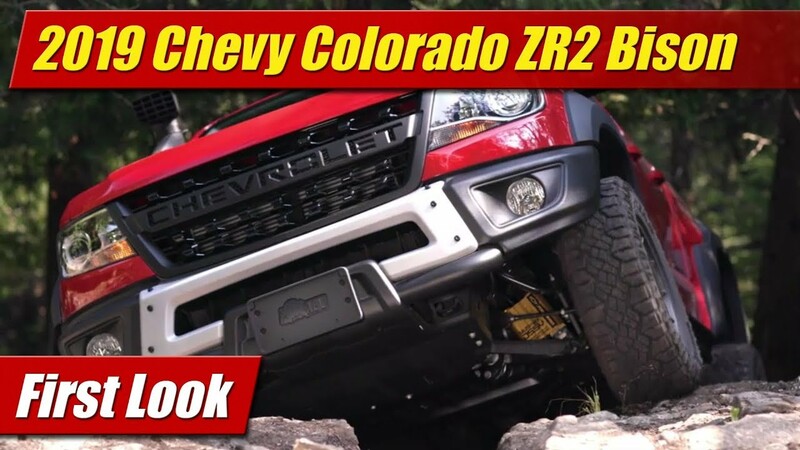 Because of the equally powerful 6.2 liter V8 available in the Camaro, its unlikely we’ll see this engine in the Chevrolet at least for now. 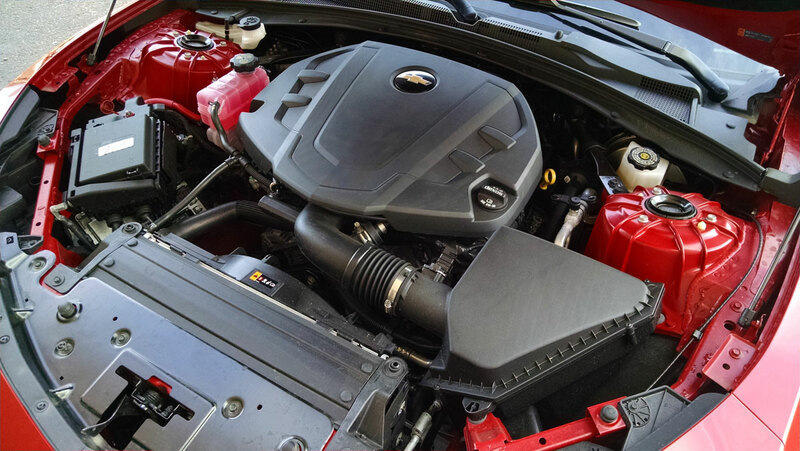 The new 3.6 liter V6 is built in Romulus, Michigan and shipped to Lansing, Michigan where it joins the new 2016 Camaro on the assembly line as production for 2016 models forward has been moved from Canada.